Toyota Yaris Running Costs, MPG, Economy, Reliability, Safety | What Car? With the exception of the 1.5-litre hybrid model, the Yaris is not a particularly economical choice. Our preferred engine, the 1.5, emits more than 100g/km of CO2, and although the 1.0 is cleaner at 99g/km, that’s nothing special in this class. Still, the Yaris Hybrid is one of the cheapest company cars money can buy, with a very low rate of benefit-in-kind tax. It also had very impressive urban fuel economy in our real-world testing clocking up a staggering 80.0mpg, but its less notable performance on the motorway means its overall fuel economy is a still decent 49.2mpg. 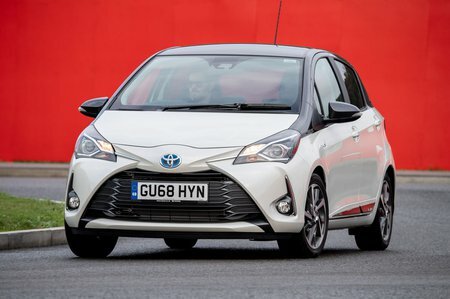 Relatively cheap servicing costs and a low insurance group, thanks to plenty of safety equipment, make the Yaris an affordable choice compared with rivals. Private buyers are better off with a petrol version, though, which has lower list prices and cheaper PCP finance deals than the hybrid. The Yaris is well equipped as standard; Toyota’s Safety Sense package (now standard on all Yaris models) brings a pre-collision system, lane departure alert and automatic high beam, plus rain-sensing windscreen wipers and there are power front windows, Bluetooth and a six-speaker audio system fitted across the range. Hybrid models additionally feature automatic air conditioning and projector headlights. 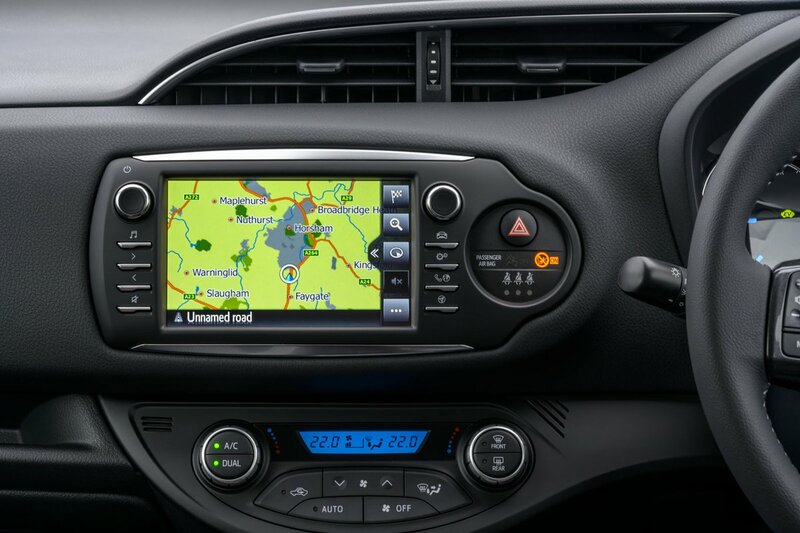 Icon versions add 15in alloy wheels, cruise control, air conditioning and a 4.2in colour TFT multi-information screen. They are also equipped with the Toyota Touch 2 touchscreen-controlled multimedia system and rear-view camera. It’s the trim we’d recommend. Icon Tech cars add satellite navigation and front parking sensors. Design trim features larger 16in alloys, a honeycomb mesh grille, piano-black side mouldings, rear privacy glass and a rear spoiler, while Excel adds a bit more luxury and GR Sport a bit more, well, sportiness to the look. 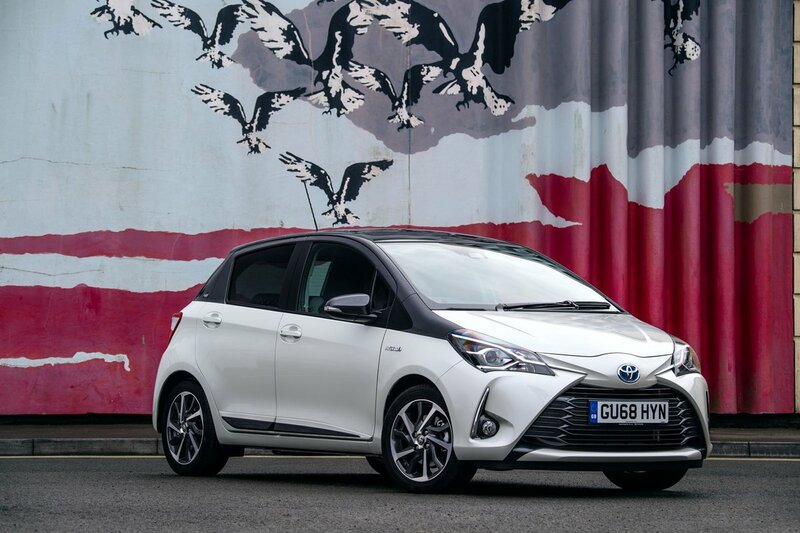 Toyota ranked an extremely impressive third place out of 32 manufacturers in our reliability survey, with the Yaris topping the small car class with a 100% reliability record. A five-year/100,000-mile warranty is standard – this is better than what most of the Yaris’s rivals come with. All the engines are tried and tested, too, with very few mechanical issues reported. Toyota’s Safety Sense package is standard on all Yaris versions and brings automatic city braking technology, lane departure alert and automatic high beam. Stepping up to Icon trim adds road sign recognition technology. There are no fewer than seven airbags to help you and everyone on board avoid injury, and stability control and sophisticated braking systems help you avoid a crash in the first place. The Yaris was awarded the maximum five-star rating in its Euro NCAP crash test. However, the Seat Ibiza and Volkswagen Polo both scored much higher for adult occupant protection. Deadlocks and an engine immobiliser are on hand to deter thieves, rounding off one of the most impressive standard safety and security offerings in this class.